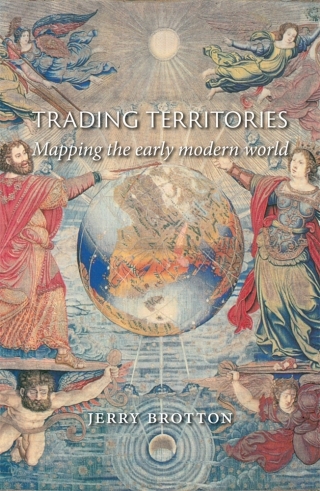 Trading Territories tells the compelling story of maps and geographical knowledge in the early modern world from the fifteenth to the early seventeenth century. Examining how European geographers mapped the territories of the Old World –Africa and Southeast Asia – this book shows how the historical preoccupation with Columbus’s ‘discovery’ of the New World of America in 1492 obscured the ongoing importance of mapping territories that have since been defined as ‘eastern’, especially those in the Muslim world. 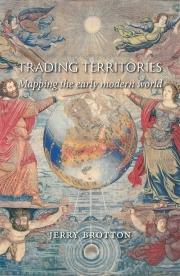 In this book, now available in paperback and updated with a new preface by the author, Jerry Brotton shows that trade and diplomacy defined the development of maps and globes in this period, far more than the disinterested pursuit of scientific accuracy and objectivity, and challenges our preconceptions about not just maps, but also the history and geography of what we call East and West. Jerry Brotton is Professor of Renaissance Studies at Queen Mary, University of London. He presented the BBC4 series Maps: Power, Plunder and Possession in 2010, and is the author of many books including the acclaimed A History of the World in Twelve Maps (2012).